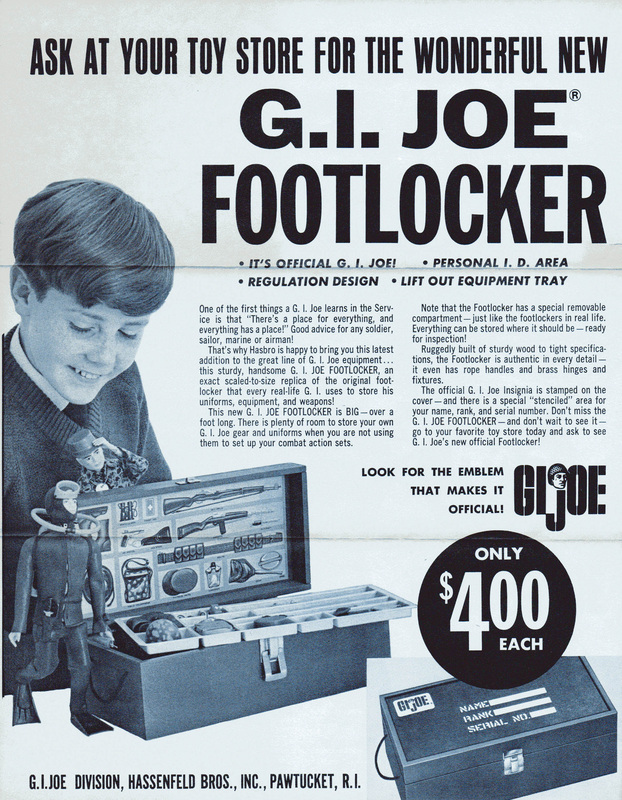 The Foot Locker (8000) may be GI Joe's most popular accessory. 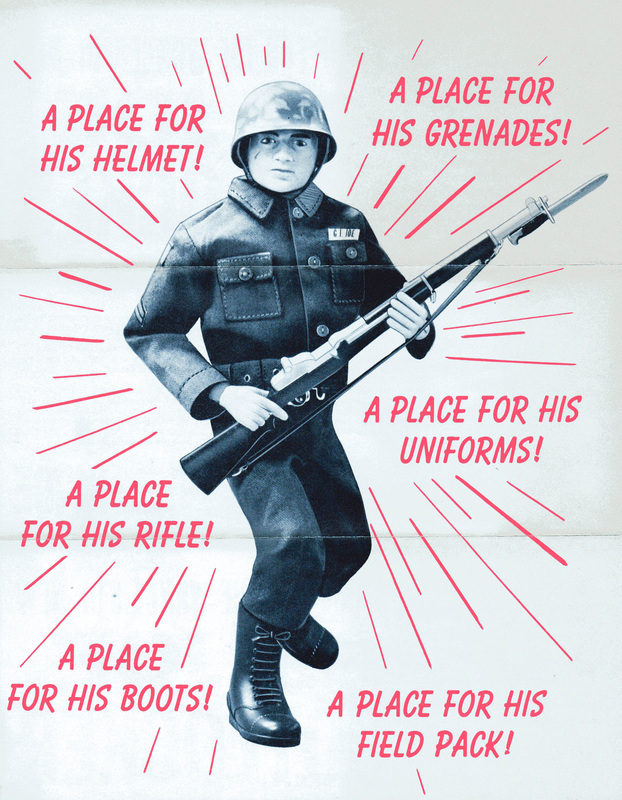 Every kid needed a space to store his gear. 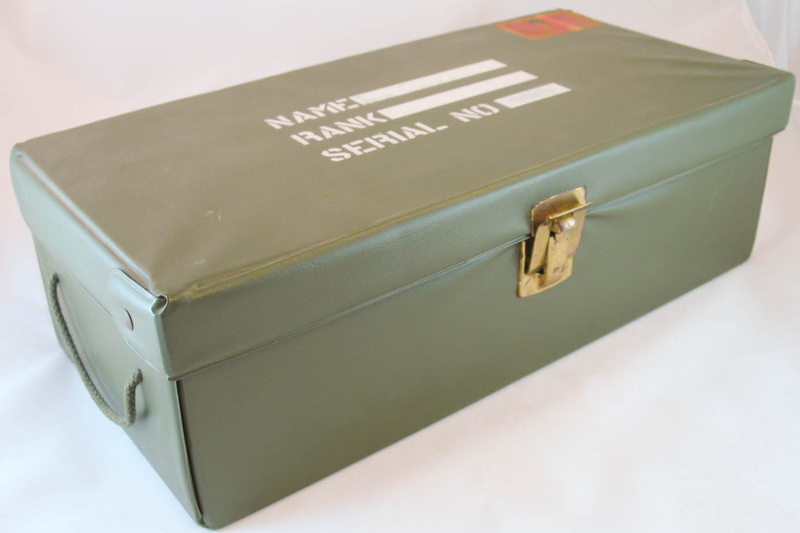 The example above still has the sleeve attached to the rugged wooden box on store shelves. 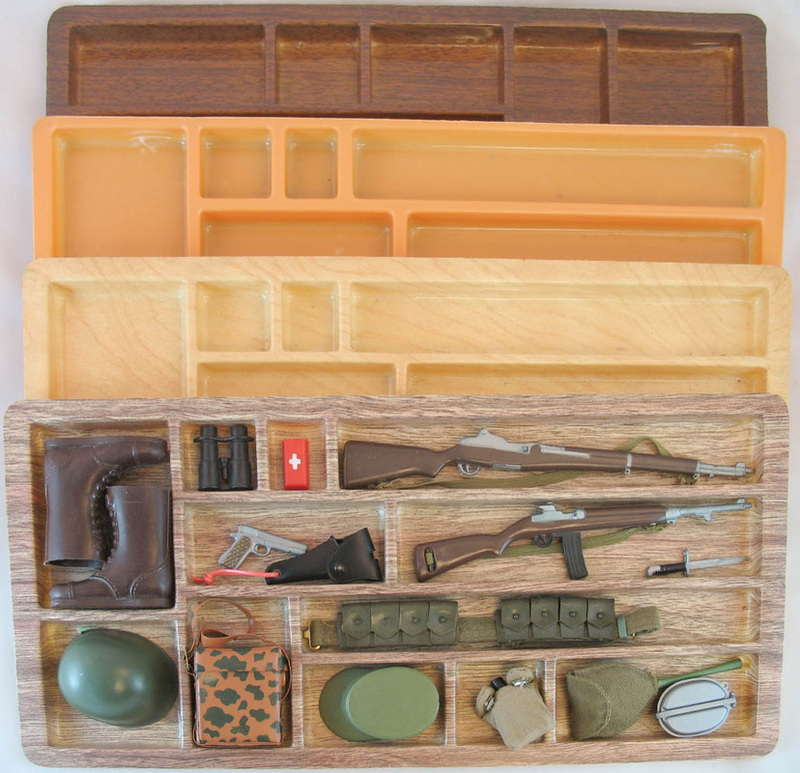 The GI Joe below inspects his gear for proper stowage. The label inside the lid shows the proper place for small accessories. The yellow stencil on the lid of this locker is rarer than the usual white, and may have been a store exclusive. The back of the advertising flyer from the top of the page, above. Note how the Frogman is wearing his knife as a belt. 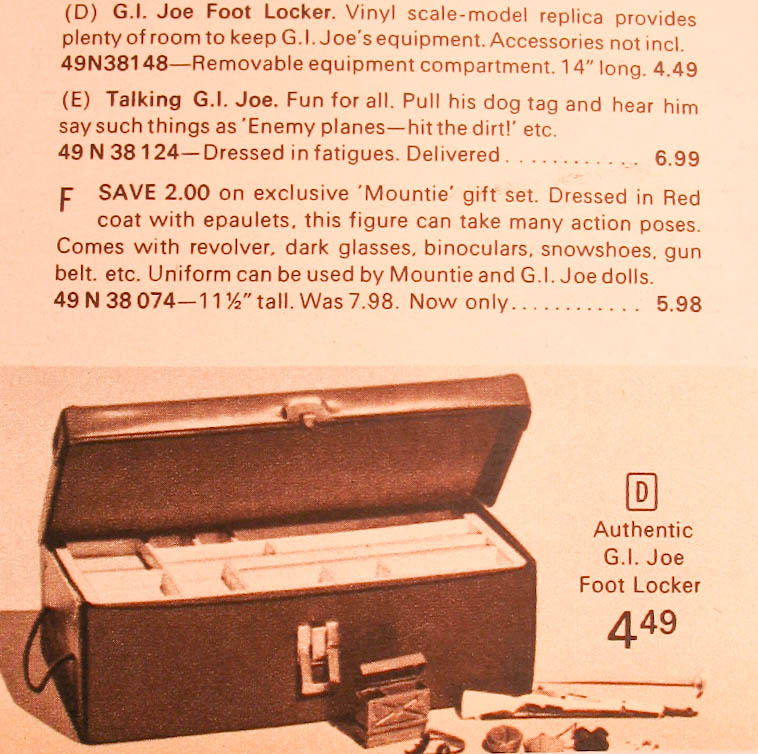 The footlocker was part of the line right through the Adventure Team era, and there were many colors of trays, some of which are shown right. Below, a less common version of the tray molded with a burled look that is sometimes called 'marbled' by collectors. The footlocker below is the victim of a factory mishap in which the official GI Joe logo sticker was applied to the wrong corner of the box. One version of the footlocker is vinyl wrapped cardboard, rather than the sturdier wood. These have a cardboard insert wrapped around the inside of the box that act as a rim to support the tray. They may also lack the interior lid graphic. These vinyl footlockers are likely Canadian exclusives.